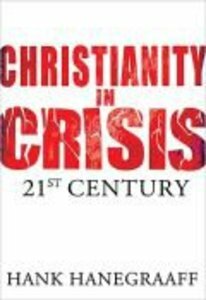 About "Christianity in Crisis: The 21St Century"
Hank Hanegraaff serves as the president of the California-based Christian Research Institute. He has also worked as the host of the Bible Answer Man radio broadcast in the United States and Canada. He is the author of such books as Counterfeit Revival, Crisis in Christianity and Resurrection and was general editor in the updating of Dr. Walter Martin's classic The Kingdom of the Cults. Also a regular contributor to the Christian Research Journal, Hanegraaff conducts seminars and lectures worldwide. He lives in Charlotte, North Carolina.